While many consumers look to more efficient systems to create and manage hot water, businesses that utilise hot water as an integral part of their operations are also seeking ways to be more efficient. By having cost effective systems that allow them to deliver more efficient energy solutions around water heating, business owners can achieve operational savings and be more eco-friendly in the process. Commercial heat pumps are an efficient and renewable source of energy that will cut your water heating costs up to 70% compared to the standard geyser/vessel fitted with electric heaters. By replacing conventional industrial heaters in geyser, boilers etc, GMC Thermal Solutions commercial heat pumps provide higher energy efficiency and ultimately major savings on your power accounts. The actual heat pump equipment can be installed away from the vessel allowing installation to be more flexible if space is limited. 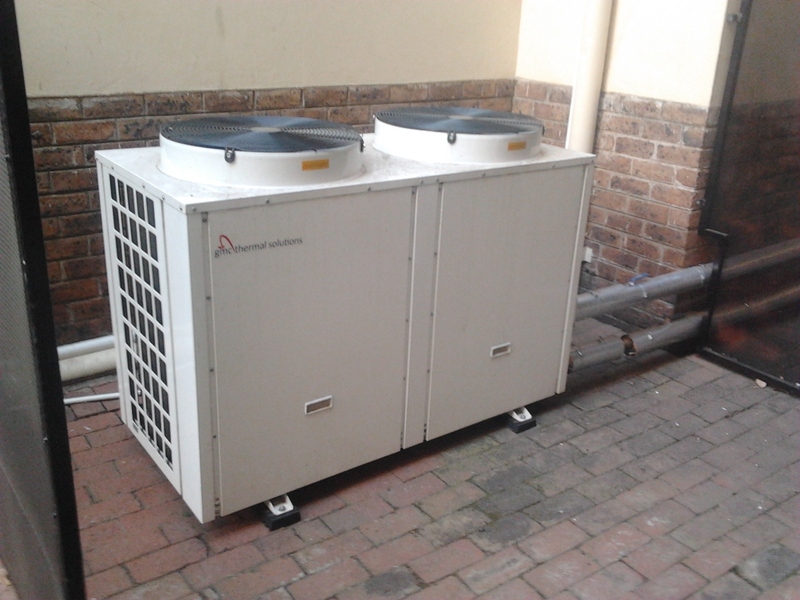 Commercial heat pumps use the reverse cycle principle of a refrigeration plant (air conditioner) to heat the water. 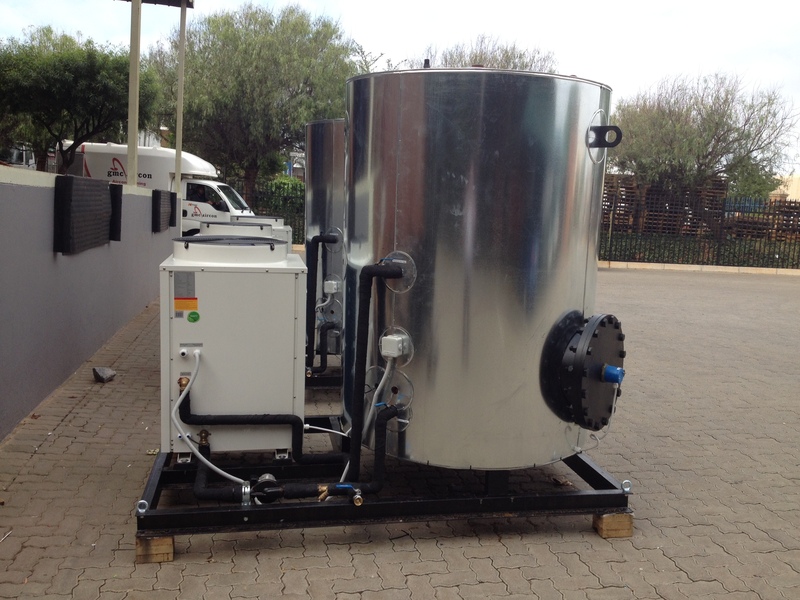 The gases in these refrigeration plants reach very high temperatures, by creating a system whereby the pipes containing the hot gas is used to heat the water by cycling through the geysers/vessel and through the heat pump system. One of the requirements of every hotel is a constant supply of hot water. 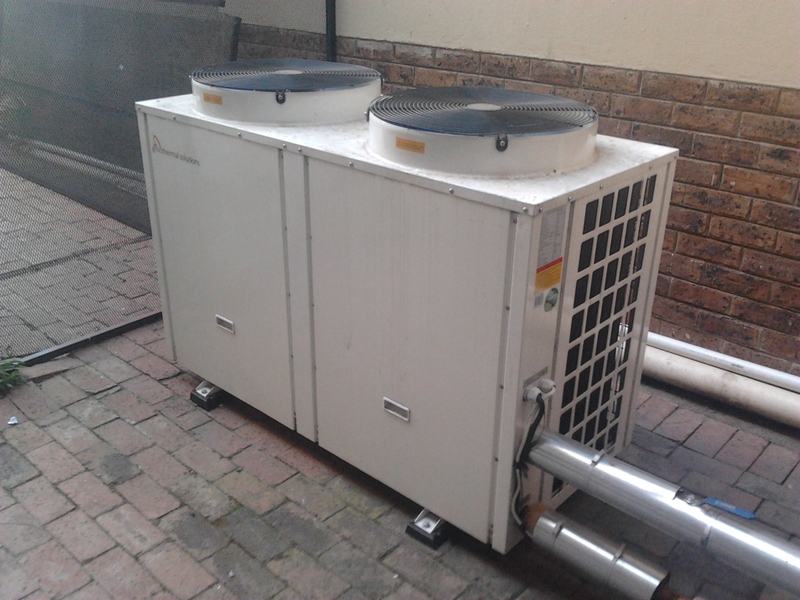 A number of recognised hotel chains have or are planning to move to heat pumps. The volume of water used relates to major savings in the power costs. Regardless of the size of hotel/guest house these savings permeate right through the industry. In these applications the savings will be the same, although the institution can control the demand cycles and apply further savings with control systems introducing use of heat pumps at required demand periods. 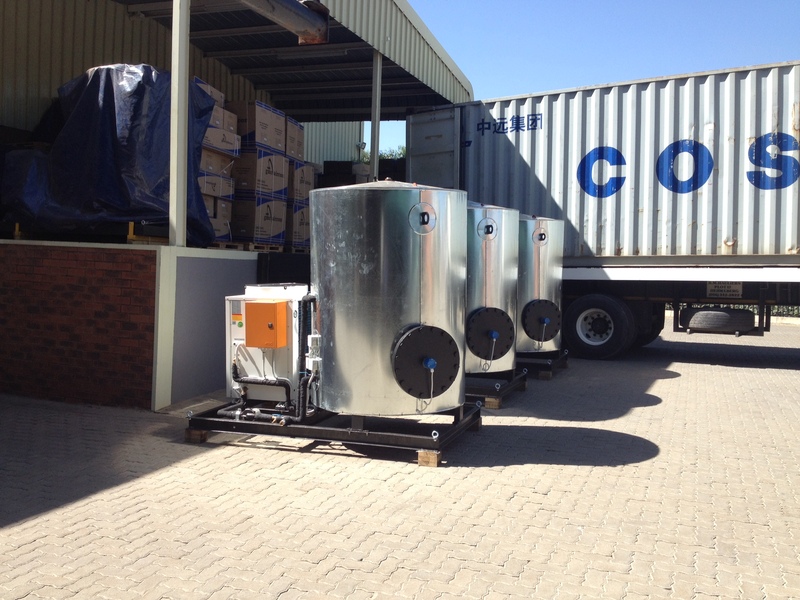 To a lesser degree heat pumps can be used in the fluids industry. Certain oils and liquids must maintain a temperature to remain viscous. This can be achieved by pumping the fluids through the heat pump. With the concept of heat pumps accepted and being accepted by many different industries the ultimate saving is the to the environment. With the reduction in power usage the direct impact would be in the generation of power. Most local power station use fossil fuel which is impactful on the environment. Cut the amount of power used = cleaner air = better environment. 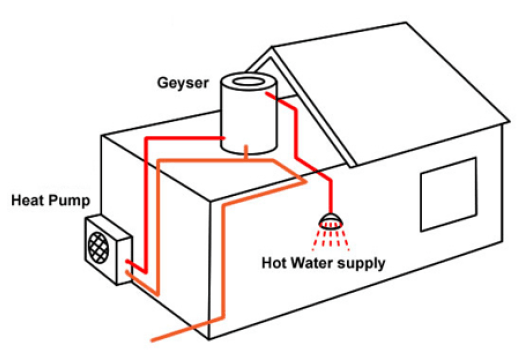 An all-in-one design allows for an “instant” hot water system to be delivered and become operational by simply connecting power and water. By utilising commercial heat pumps in your business, you can cut your water heating costs and improve your bottom line.